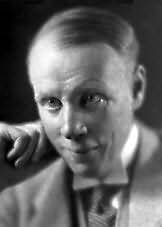 Sinclair Lewis was an American novelist, short-story writer, and playwright. In 1930, he became the first American to be awarded the Nobel Prize in Literature, "for his vigorous and graphic art of description and his ability to create, with wit and humour, new types of characters." His works are known for their insightful and critical views of American society and capitalist values, as well as their strong characterizations of modern working women. "A book of dreams it is, and of very wonderful dreams."